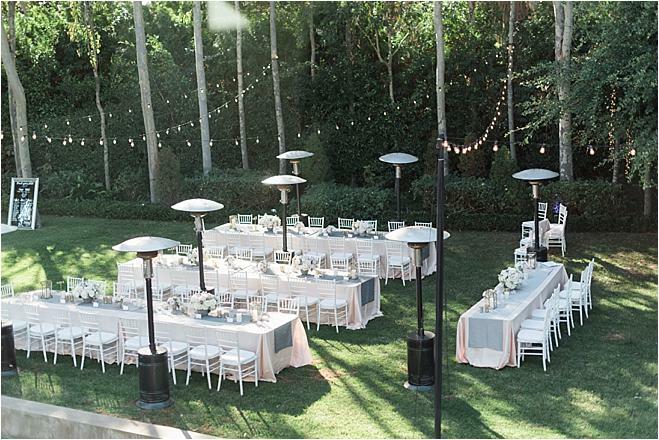 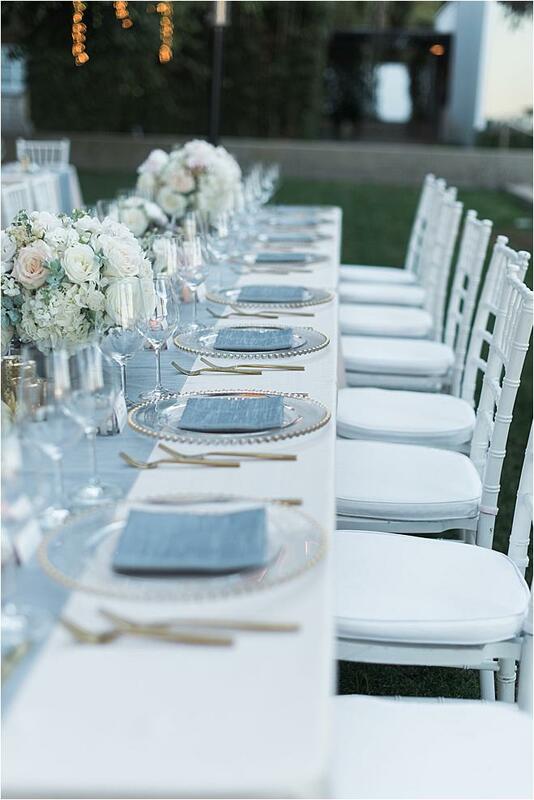 Cindy and Alan's backyard celebration highlighted a clean, modern design with a palette of delicate grays, blushes and lavenders with hints of blush and gold, making for an elegant display of beauty. 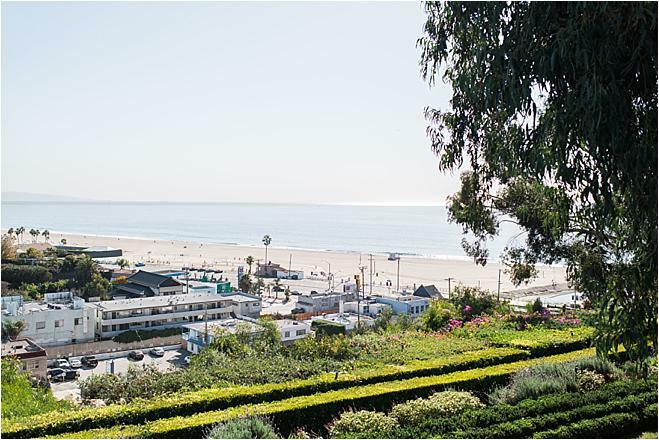 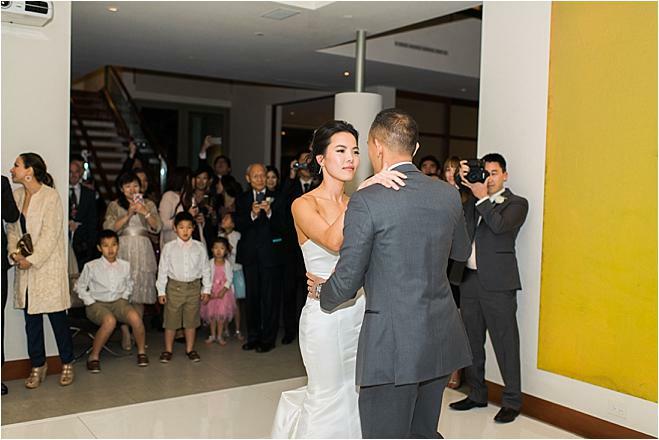 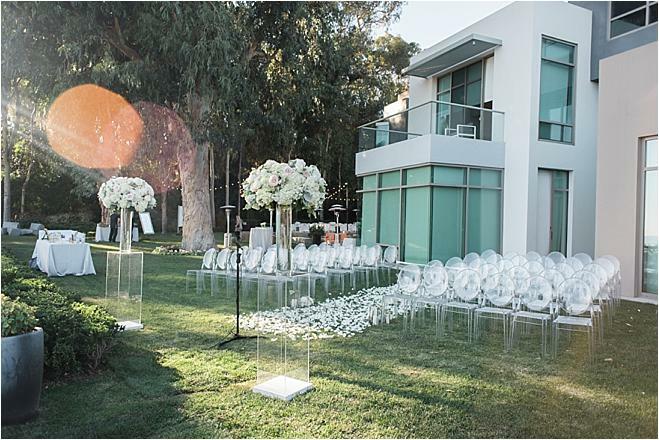 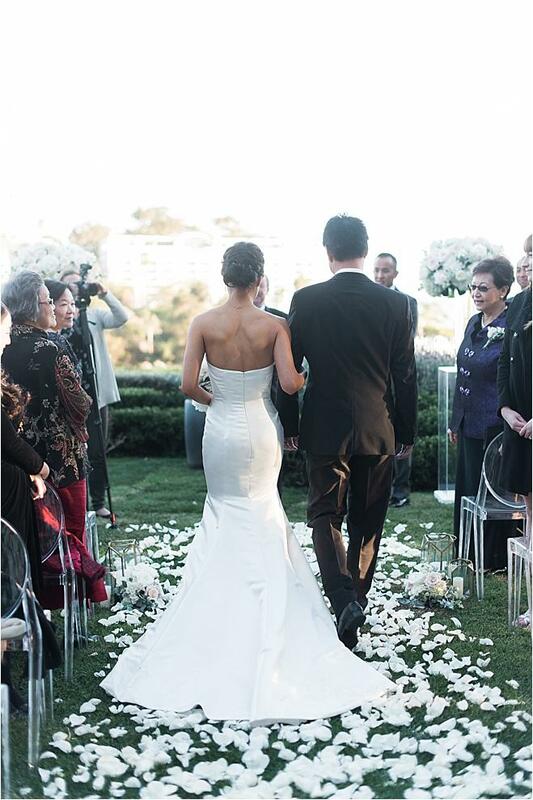 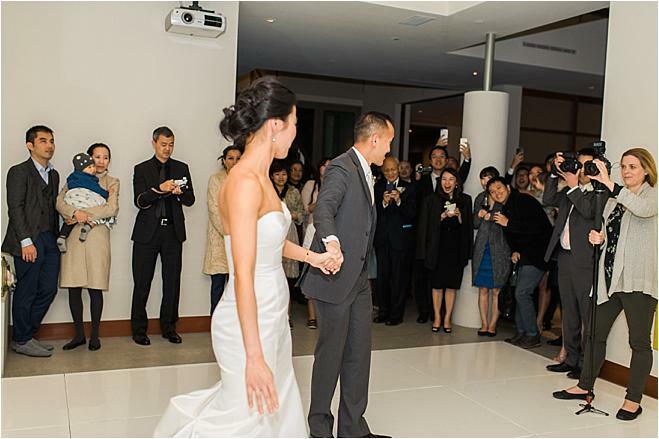 The wedding took place at one of the eleven "Case Study Houses" in LA County, known for their unique architectural design and midcentury elements. 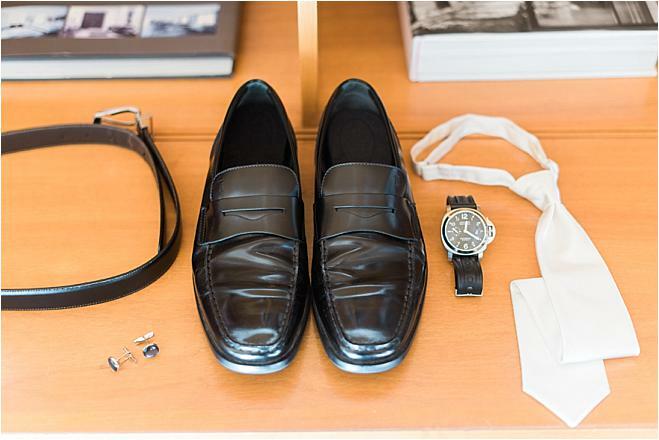 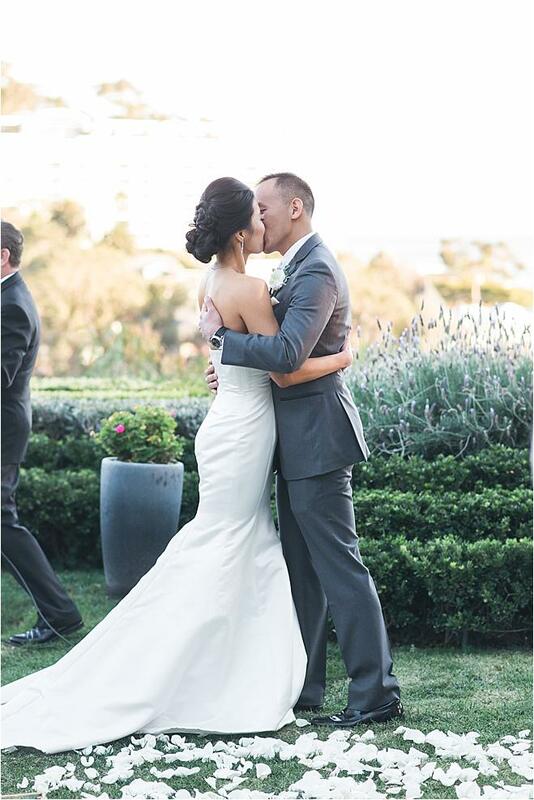 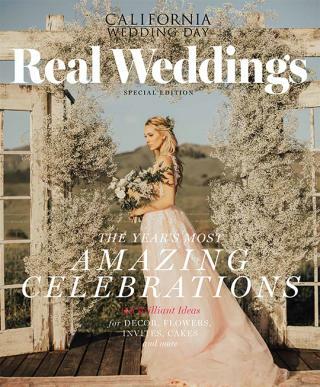 Planner and designer Marisa Nicole Events helped the couple design a contemporary yet classic wedding on the California coast. 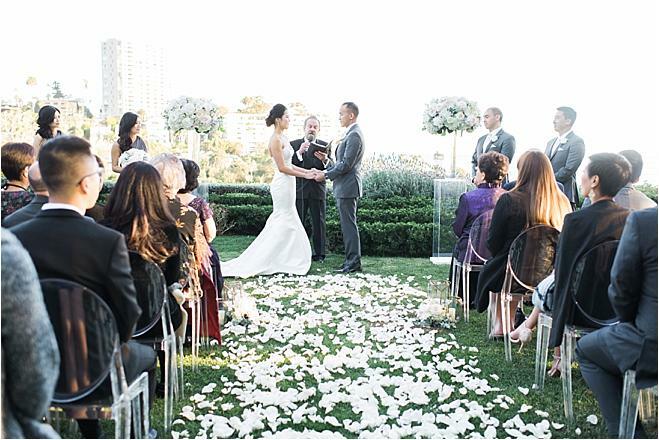 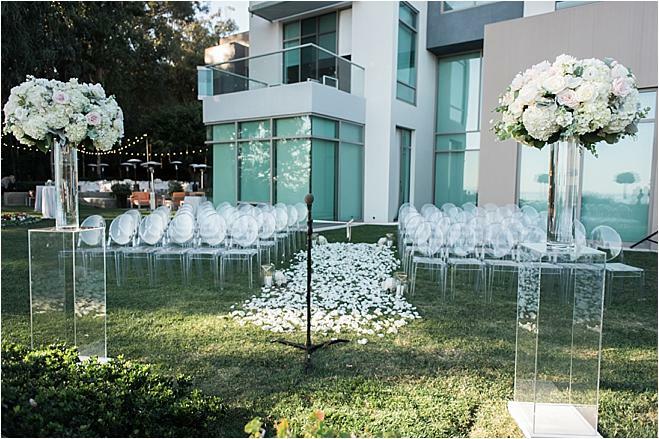 White flower petals graced the aisle, ultimately leading to the altar where luxurious floral arrangements by Enchanted Garden Floral Design made for the prettiest of displays. 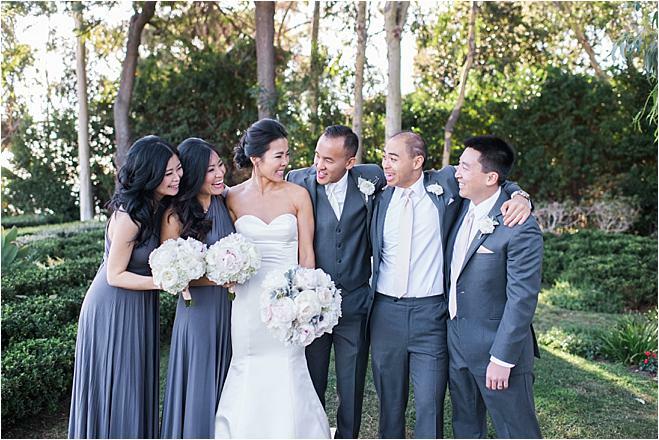 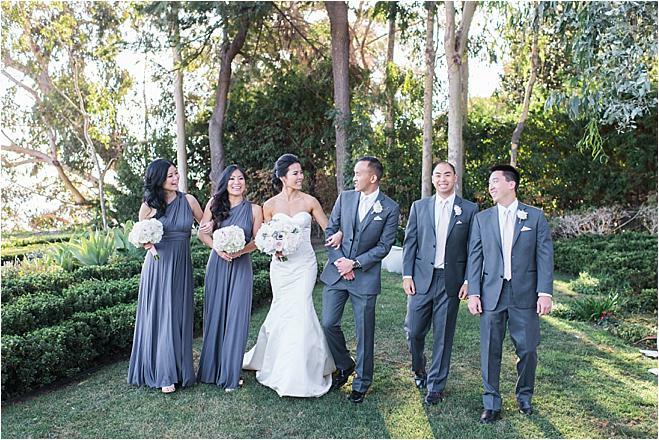 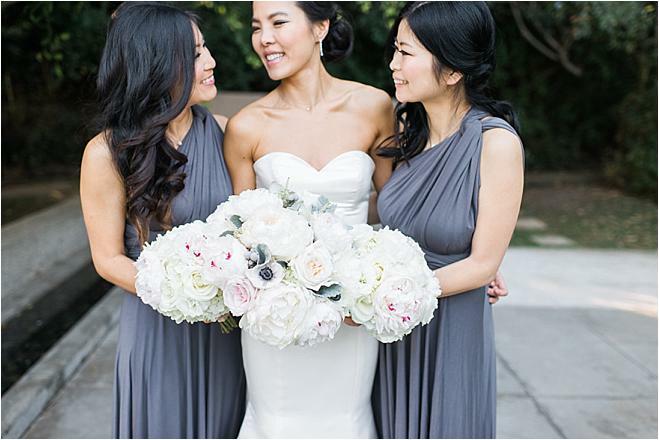 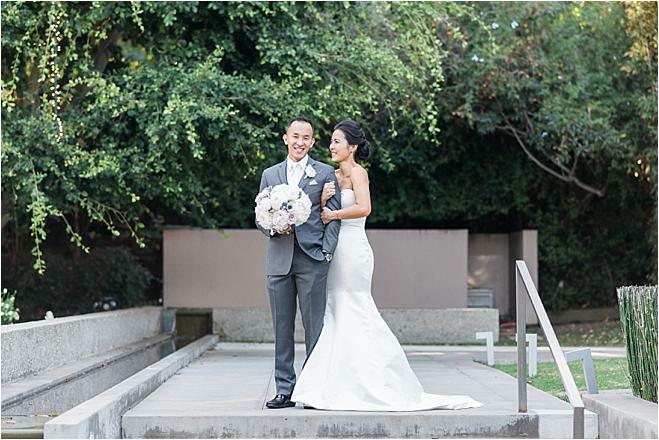 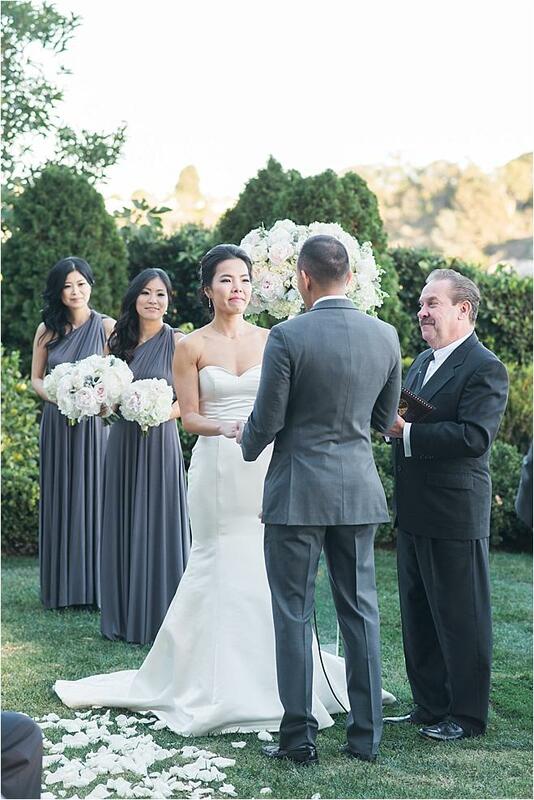 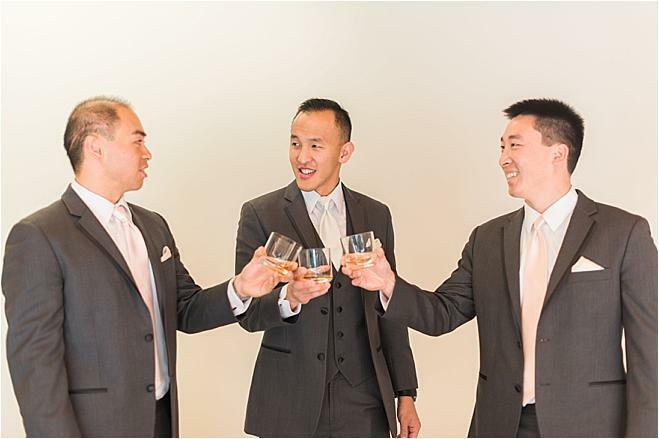 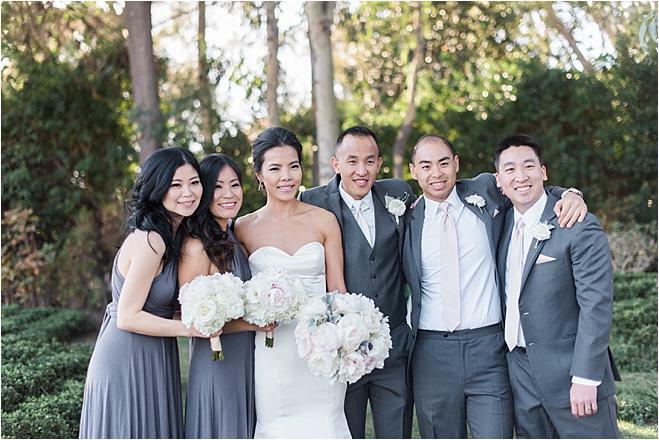 Cindy opted for a gorgeous white gown and a bouquet boasting roses, peonies and anemones, while Alan's sharp gray attire matched the neutral tones of the day. 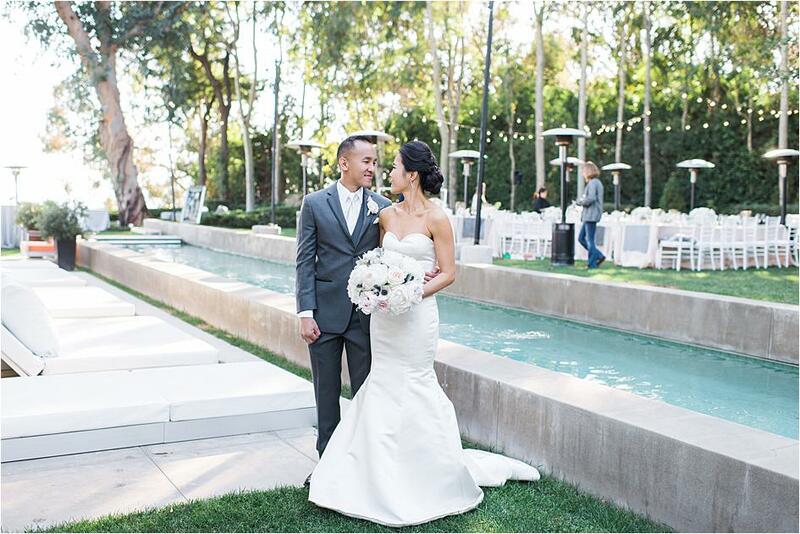 A breathtaking view of the Pacific proved to be the perfect backdrop for the reception, where guests were welcomed to whimsical bistro lighting and grand trees adorned with elegant icicle lights. 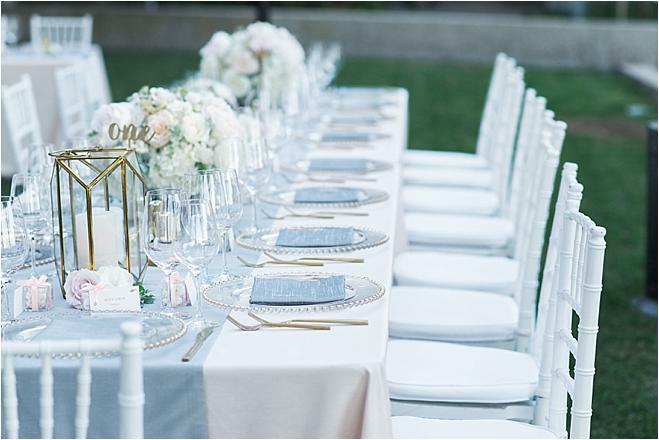 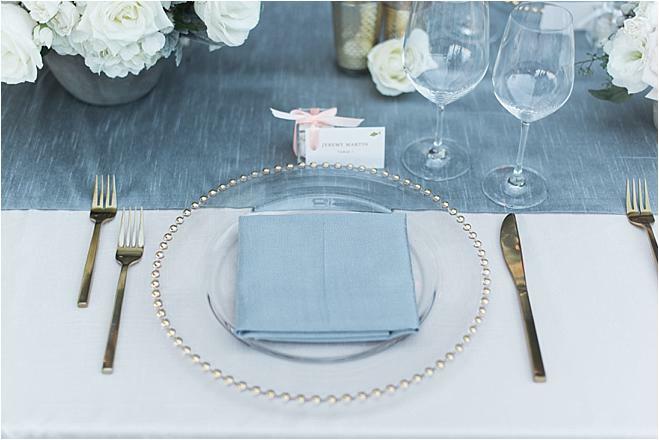 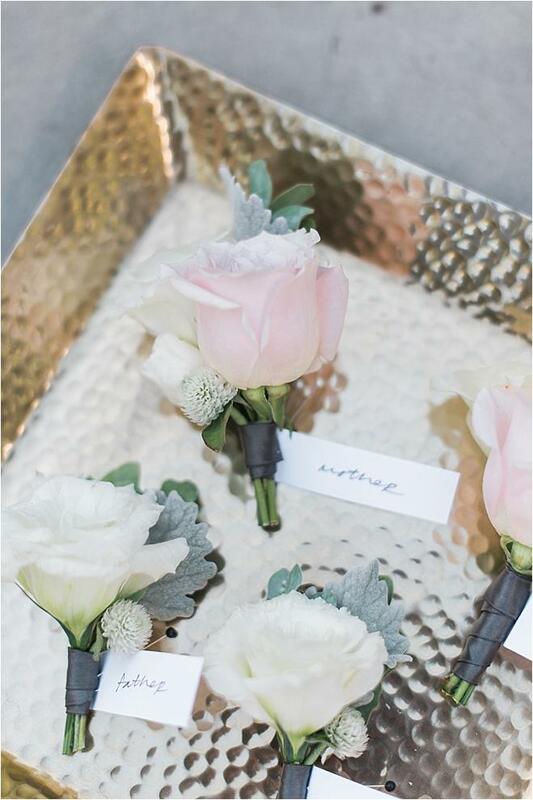 Neutral hues were continued throughout the design, and decadent catering from Made By Meg completed the celebration of love. 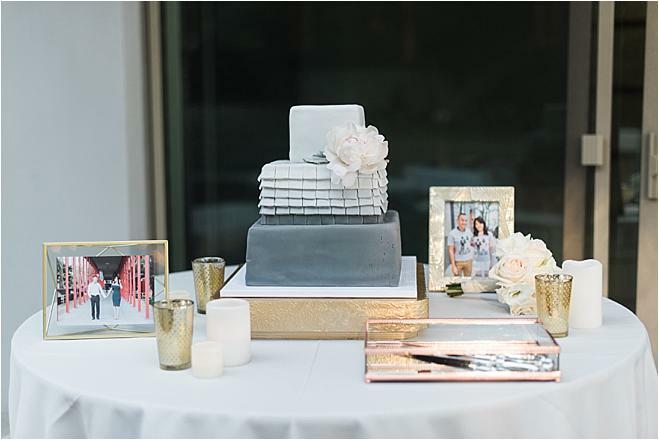 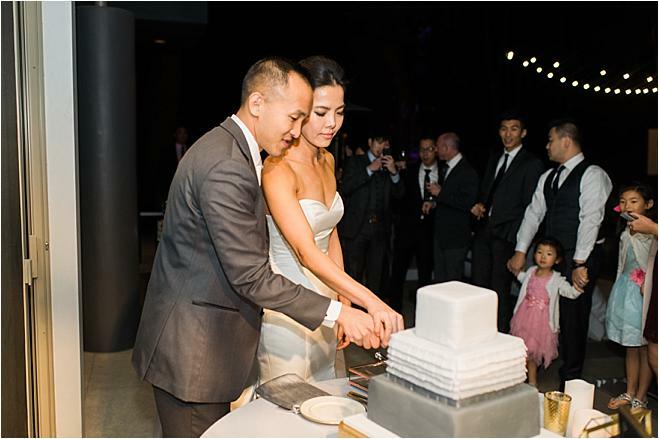 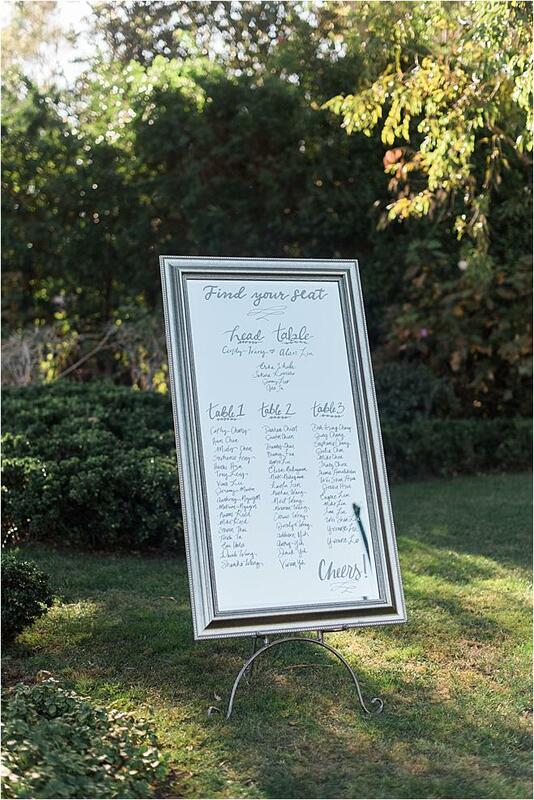 A unique tapas bar allowed guests to create their own appetizer dishes, while a modern three-tiered cake by Hotcakes Bakes closed out the night; a fun and delicious way to celebrate the marraige of the lovebirds!